S2O Festival will soak Bangkok again from 13-15 April 2018! The S2O Songkran Festival is one of Thailand's and more likely the world's wettest soaking party where tens of thousands of litres water will squirt and where the crowd will get soaked to the beats and bones. S2O Festival will soak Bangkok again from 13-15 April 2019! The S2O Songkran Festival is one of Thailand’s and more likely the world’s wettest soaking party where tens of thousands of litres water will squirt and where the crowd will get soaked to the beats and bones. Hot, wet and wild. Grab your friends and let the water battle begin at the wettest music festival of the year! Headliners performing during the S2O Festival are Fatboy Slim on the first day, DJ Tiesto on 14 April 2019 and Steve Aoki on the last day of this year’s Bangkok music festival. They receive support from Bass Jackers, Robin Schulz, 1788-L, Cat Dealers, David Gravell, EDX, Illuzione, Netsky and Rave Radio. It’s 2019 and time for the annual S20 Songkran Music Festival! The 5th anniversary of the incredibly ‘wet and wild’ music festival brings the craziest S20 yet. Taking place at Live Park in Rama 9, the festival is back, and it is bigger, better and WETTER than ever! Pepsi returns with S20 this year and together with Heineken, present the famous three-day festival over the Songkran holidays. Following on from the success of the 4th installment of S20 in 2018, the festival takes on their biggest crowd yet, hitting on April 13-15th. Party lovers came from all across Thailand and the Asia region. What kicked off as a premiere with 8,000 people several years ago, the festival has grown to a massive number of visitors and inbound travellers. 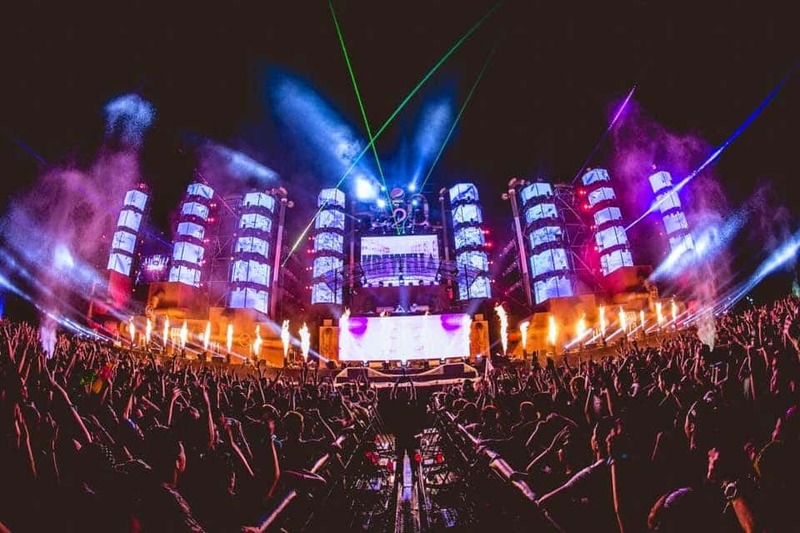 The Festival has truly deserved international recognition with its successful line-ups including the Dutch DJ Afrojack in previous years performing. 2018 also brought DJ Snake to Bangkok as the S20 headliner, joined by Sick Individuals, Laidback Luke, Kill the Noise and tons of other incredible acts. As fans eagerly await the 2019 lineup announcement, a jam-packed three days of festival greatness can be expected. S20 is well renowned as one of Asia’s greatest events and crowds flock from far and wide for a piece of the S20 Songkran action. Music, Top DJs, Food, Booze and lots of fun…what more could you ask for? Happy Songkran Everybody! Taking place over the Thai new year holiday, S20 is one of the highlights of the Thailand festival calendar. The annual event is well known for consistently fulfilling their wet and wild reputation and gets bigger and better, each and every year. Live Park is getting prepared for festival-goers to turn up armed with water guns, ready for the S20 Songkran water battle. Throughout the three-day festival and Thai New Year celebrations, S20 brings the ultimate Songkran party to the Thai capital and the best party atmosphere to Bangkok city this April. Most of the tickets have been sold out. Hurry if you still want to join in the madness. As Live Park is an outdoor space, we recommend you to bring umbrellas and party boots when it rains.